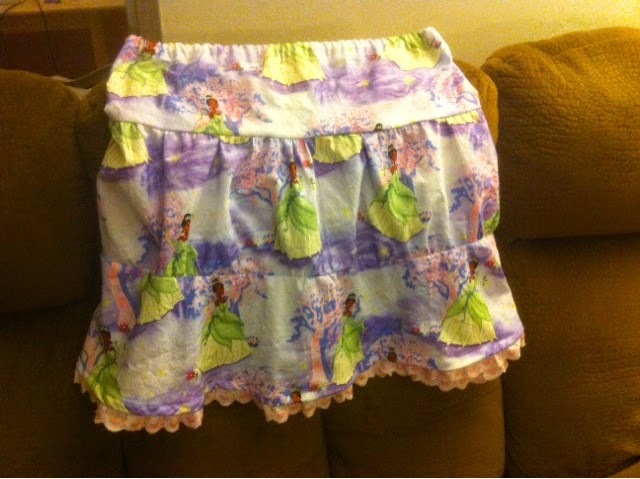 Princess Tiana skirt for my grown daughter! She likes it, and that's all that matters! Lol. This is funny.....in a way! 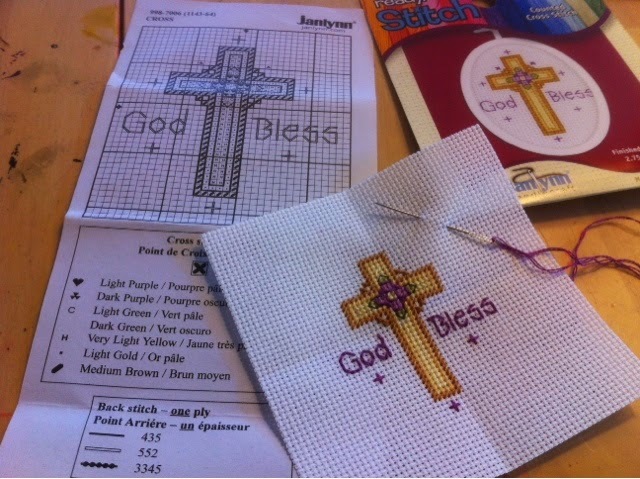 I finished the little cross stitch, but notice the last S in Bless runs under the frame. I've tried moving the stitchery up since the egg is wider in middle, and more to the left but then it runs off the other way! I was complaining to my daughter, and she said, "hey look at this"....pointing to the picture on the package! It shows the same thing happening!!! Lolol. Wow. Amazing. Well, they sure did not hide the fact that it would be inferior, did they??? Good thing I can still use it in another way! Little cross stitch almost done, and some sewing! 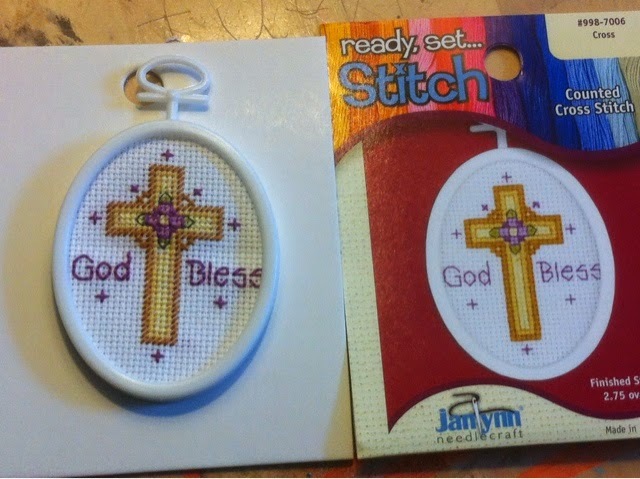 Gotta run off for errands, so will finish last tiny details later, but I found this tiny cross stitch kit at Walmart, for 97 cents. 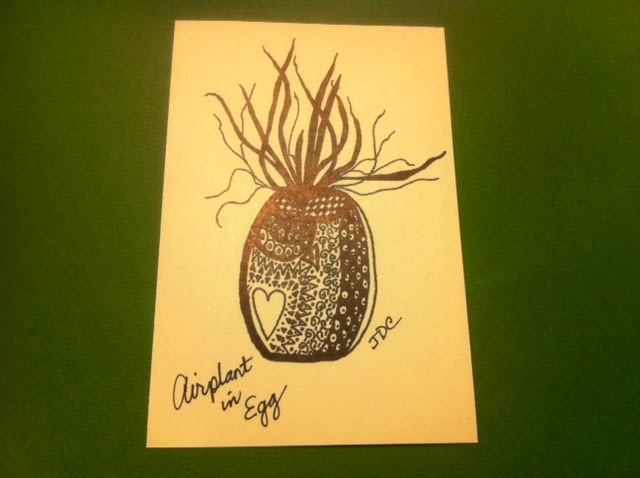 They have a few others too, if you need a quick project to incorporate into a card, gift tag, or bookmark, etc. I have made a few mistakes as far as stitch direction goes, but can I just call that artistic flair??? Lol. 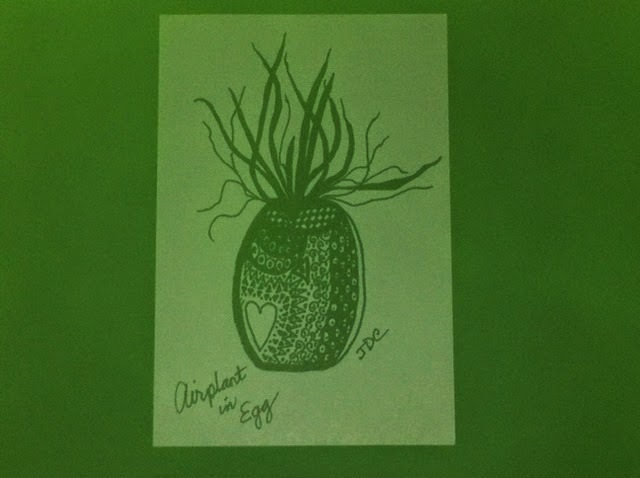 This one will be incorporated into something yet to be determined. Kit is by Janlynn, and the weave is teenie beenie at 18 count, which I had to work sitting directly under a lamp! 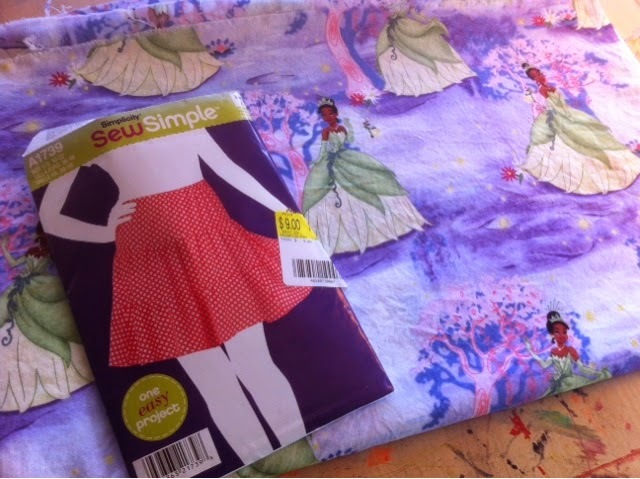 I am also about to make a skirt for my grown daughter, who, evidently is still a kid! 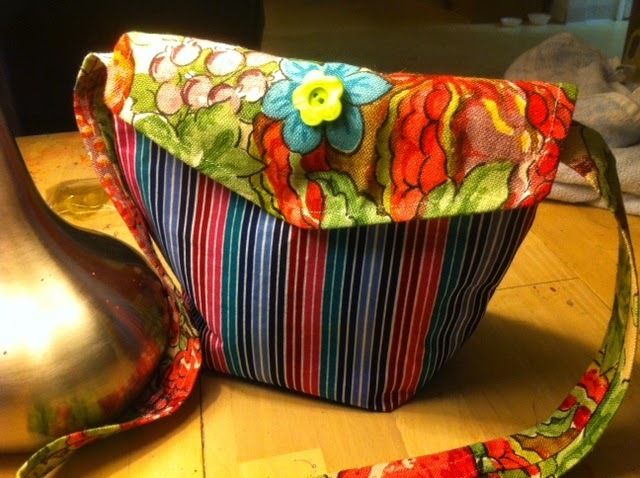 Here's pattern and fabric! 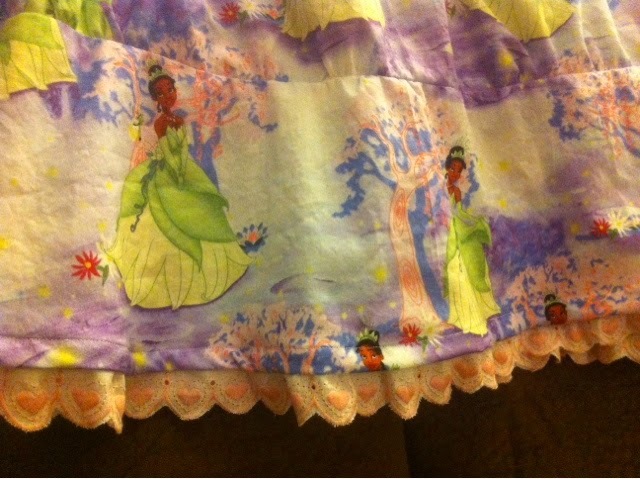 Tiana is her fav Disney princess!!!! It's a quiet hobby, and that is what I am looking for these days! Sewing on a machine is noisy. 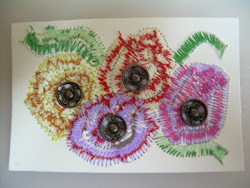 Hand embroidery works, as does drawing. 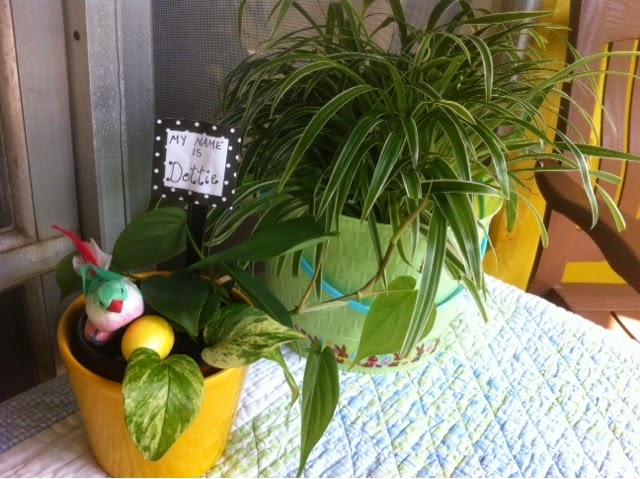 A little Easter vignette for my front porch! You should have seen md out there yesterday sweeping and cleaning, and picking up tons of leaves that fly over from the neighbors sea grape tree! If I didn't love her so much, I'd be mad! Lol. Anyway After increasing the curb appeal, I decided to add some greenery, a little bird and some eggs from my holiday drawer! Now it is a useable space to sit and have morning coffee. I hear it is supposed to be much cooler and overnight tomorrow which will be a nice touch for Easter Day! 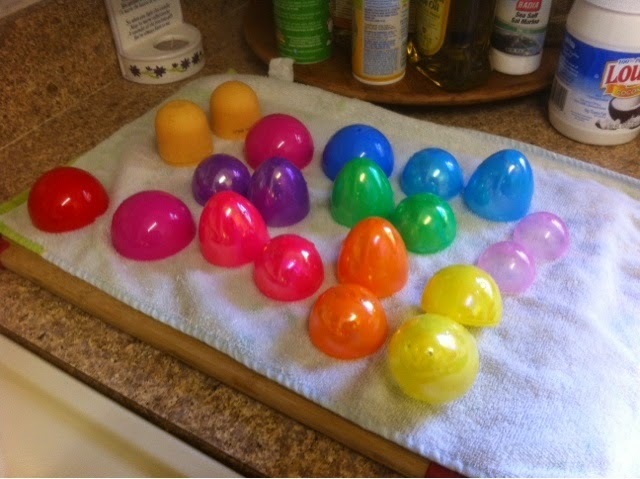 These are some of the molds daughter and I used to make egg shaped, and round bath bombs with. Got the recipe online somewhere (she has had it since last year). She made orange cinnamon ones this time. 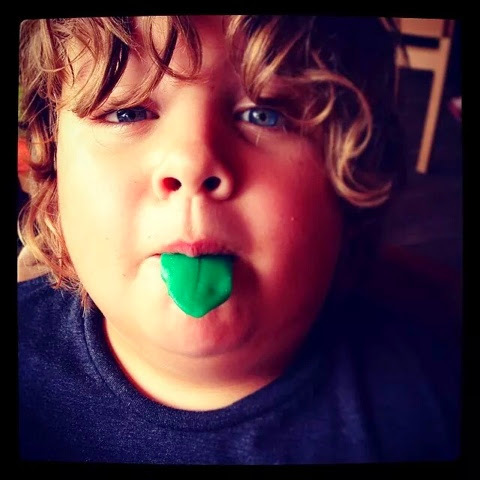 Here is a pic of grandson, Donovan with a green tongue he fashioned out of Airhead candy! He is at his Dad's house this weekend and my DIL sends photos of the kids. Dono is growing his hair out all one length kinda long like a skater cut. He's growing up !!!!! 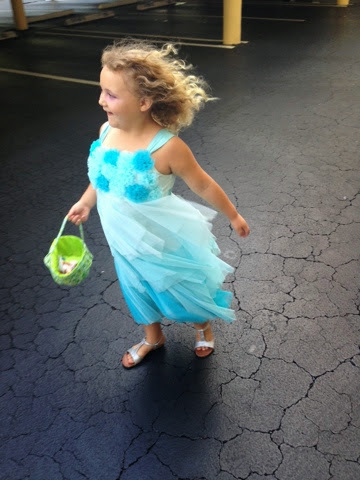 And here is Emily looking smashing in her beautiful new BLUE dress as this is her new fav color so she can look just like Esla from the movie Frozen! This is a beautiful shot of her, that my DIL GOT, don't you think??? They bought her the dress!!! Swoon, swoon! Gorgeous!!! So now on the way to a walk in clinic as daughter has had pain in her ear for two days and it is pretty bad without warm oil drops and Ibuprophen. We shall see what's brewing there! Hi everyone! I am feeling less and less like I can blog much anymore due to several factors. If I kinda slowly drop off here, please forgive me! I doubt if I will completely, as I still love to visit you all and leave comments with you. I just might not do any more posts here (or rarely)! It has been such a wonderful way to share and communicate and meet so many wonderful people all around the globe! I am active on Facebook now, and you can find me as Julie Creswell there, and I hope you will! I wanted to share my one DIL's fun activities lately. She is having a Jamberry Nail party online. 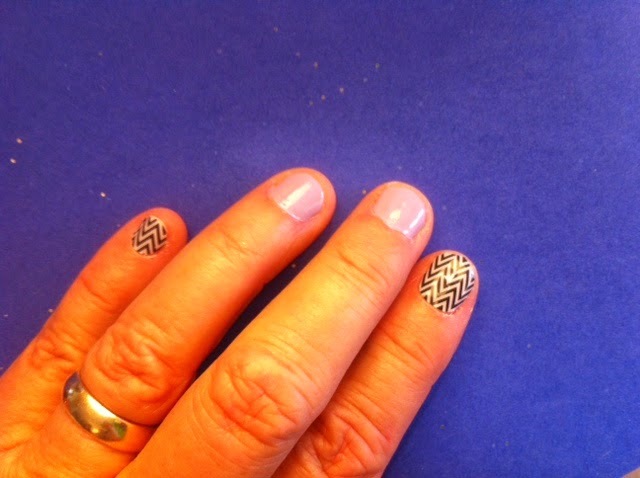 They are nail wraps, and I have never been big on doing my nails, but I have tried some samples she gave me, and they are really amazing. 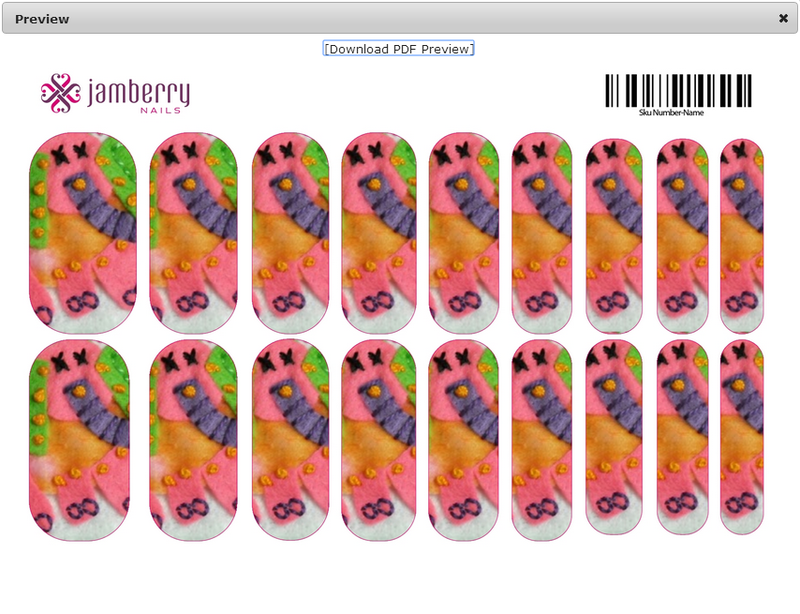 Today she posted a link to make custom nails using your own image, so I made these with the image of the felt elephant ATC I had years ago! If you want to try making some for free as a preview (you don't have to order)....go HERE! 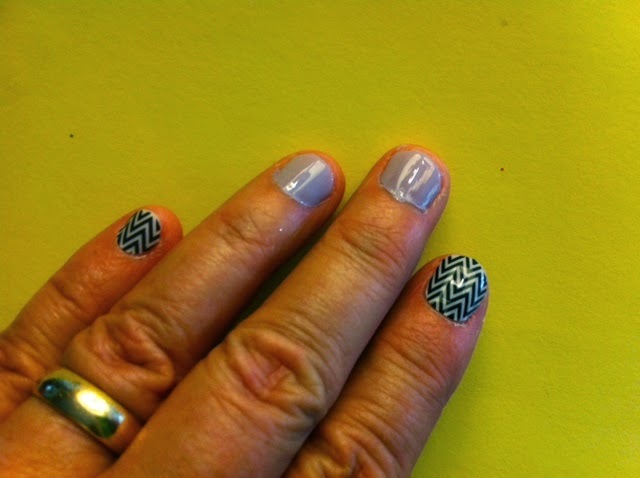 Here are my own nails where I applied samples she gave me (black and white chevrons), and paired with a light purple polish on other fingers just playing around. Obviously, they would have looked better with black polish, but I did not have any, and I am not a black polish person anyway. These apply easily, and are supposed to last a few weeks. Easy removal, non-toxic. 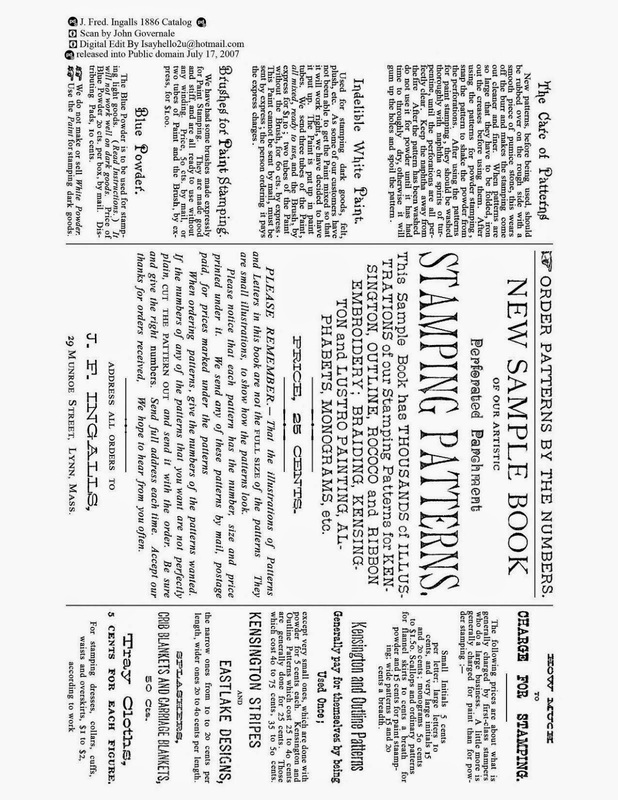 Many uses on one sheet. 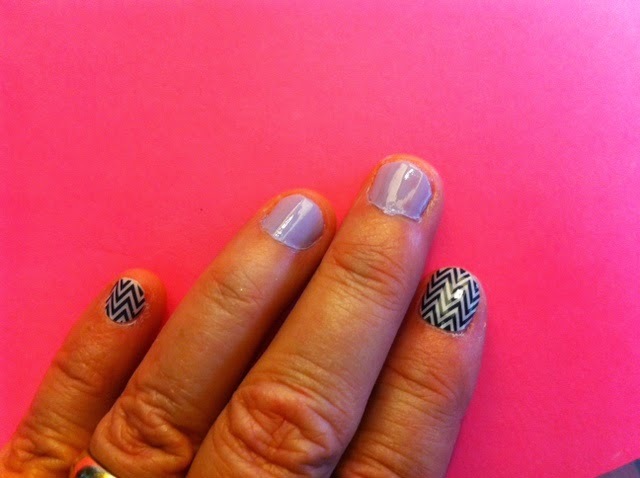 Don't the wraps look so much nicer than polish??? I am seriously in love. If you want to you can see all the available colors and gorgeous designs HERE! SO....LATEST NEWS is that I have same old stuff going on around here. Growing flowers, cooking, cleaning, loads of laundry, and playing with grandkids! We make it fun, and that's the best part! I got a copy of Sue Monk Kidd's newest book, called The Invention of Wings, and unfortunately I don't think I will be able to read it. It is a 14 day loaner from the library, and I can't bring myself to sit down long enough to do it! Maybe another year! LOL. The birds are still enjoying my birdbath and feeder...cardinals, cowbirds, blue jays, and little painted buntings. Besides that we have the usual shore birds visiting the lawns for worms and seeds. I feel so blessed to live in such a paradise here in south Florida! 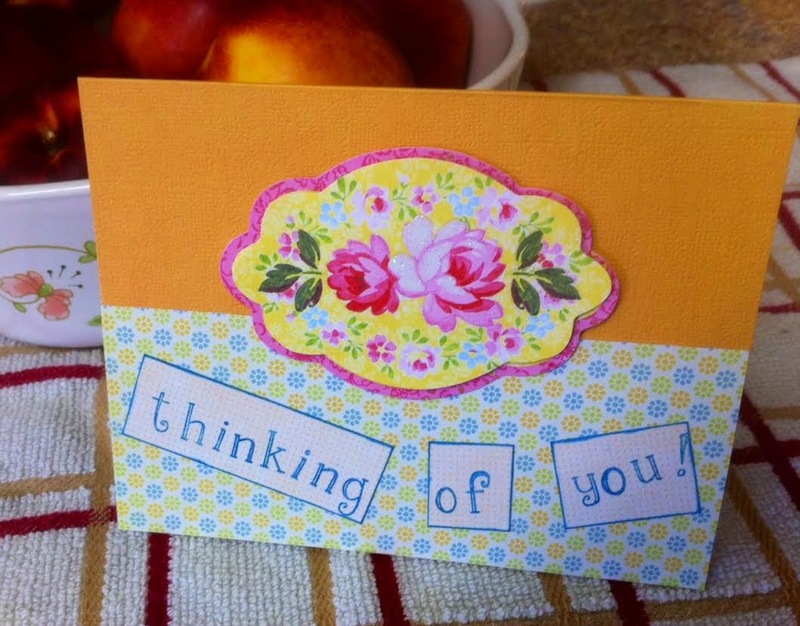 I pray you are all well, and I will stay in touch! 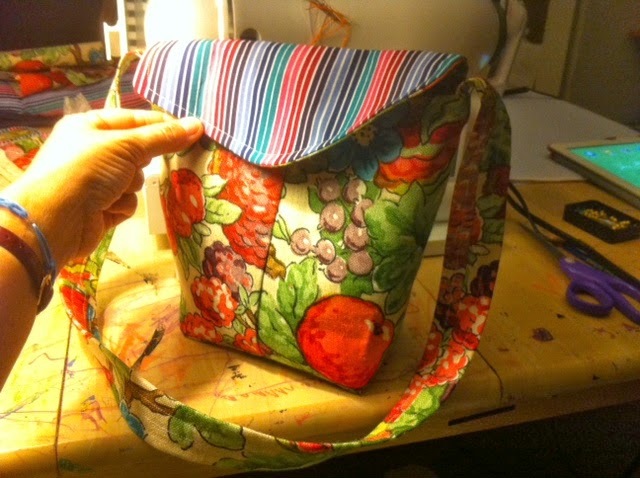 The reversible messenger bag I just completed shown turned both ways! 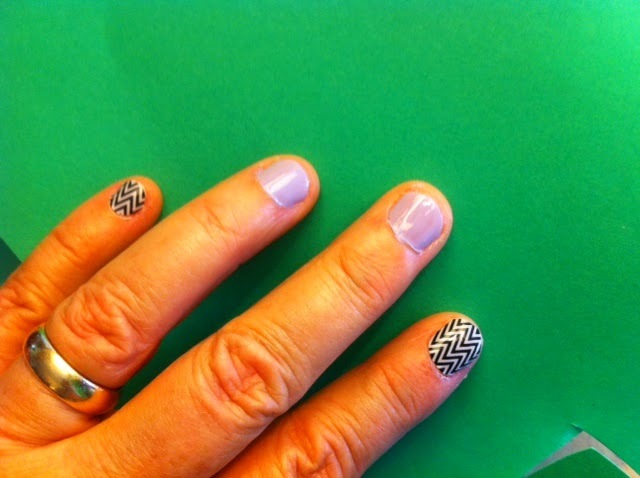 I'm going to use it with the striped side on the bottom.